The municipality of Grimaud has launched a consultation process with landowners to facilitate the settling of young farmers. Objective: to restore the cultivable area to its former glory. On one side, is an agricultural plain of 532 hectares divided into small plots, 11% of which are fallow. On the other hand, are the ambitious young farmers who want to start their own business. To kill two birds with one stone, the Grimaudoise municipality was able to bring together landowners and project leaders in the Blaquières during the week of November 5, 2018. The Mayor, Alain Benedetto, accompanied by representatives of the Chamber of Agriculture and SAFER, were expecting a shared awareness of the current neglect of the Grimaud plain during this unprecedented meeting. After a reminder of the situation in the agricultural plain, the discussions were held. And the project leaders, a dozen of them in attendance were the most forthcoming in the discussions. Like Sylvain for example, a farmer from Cogolin: « My goal is to make a living from the vineyard. I currently own 4 hectares.’’ ‘’I currently own 4 hectares. Ideally, I would like to have about 8-10 hectares.’’ Other projects presented included the setting-up of a chicken farm on a one-hectare plot. Or the case of a young man from Gassin who is currently looking for a 5 hectare plot of land to cultivate vines. « We can see that these young people are dynamic and have a lot of ideas. Relying on them will ensure that we can look forward to something sustainable for the agricultural future of the plain, » Alain Benedetto emphasized. For their part, the landowners in attendance were less vocal. Only two of the fifteen or so present spoke, however, they indicated that they were willing to rent or sell their land. Nonetheless, most of them established contact with the project leaders at the end of the meeting. Because the biggest hurdle that future farmers will have to overcome is still the availability of land: » Nowadays, the landowners are the ones who have the biggest say. We must trust the newcomers in the sector and give them the opportunity to express themselves, » Arnaud Ferraro, president of the Young Farmers of the Gulf, insisted. 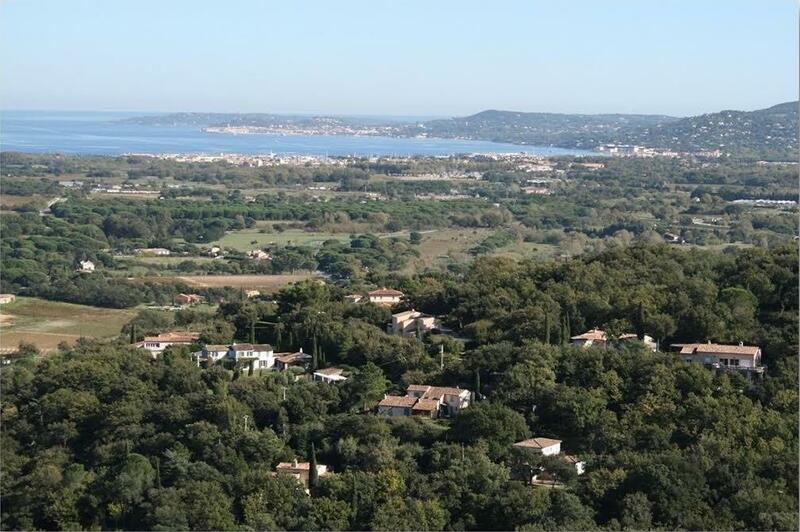 Committed to the agricultural and forest land management of the Grimaud plain since 2015, the municipality wants to bring the stakeholders together to create renewed interest in the plain. Whilst everyone has been sensitized and informed, there is still a lot of work to be done to restore this area to its former state of the 1960s: « When all the plots were under cultivation ». This article was first published in French in our local newspaper Var Matin. Cette entrée a été publiée dans English, Grimaud le 23 novembre 2018 par Boutemyblog.